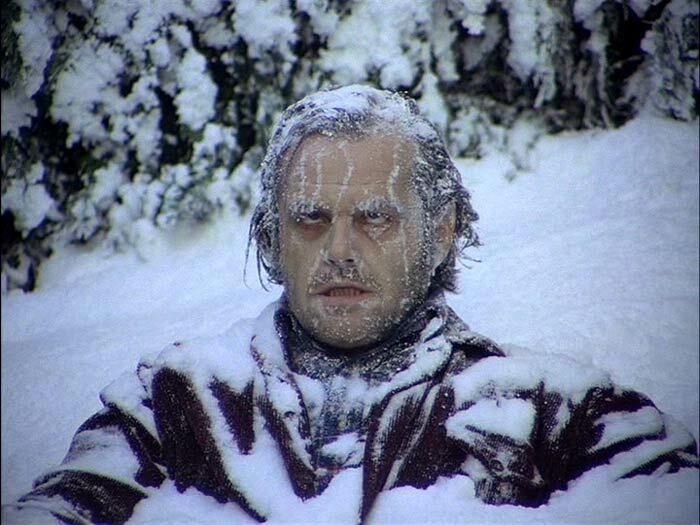 The relationship between Wendy and Jack Torrance in Stanley Kubrick’s The Shining didn’t end super well, to put it mildly. (It didn’t in Stephen King’s novel of the same either.) But the couple certainly had some happy times in the bedroom of the Overlook Hotel before things started to turn sour. Like this one, in which Wendy brings Jack breakfast in bed and they talk about how terribly charming the place is. 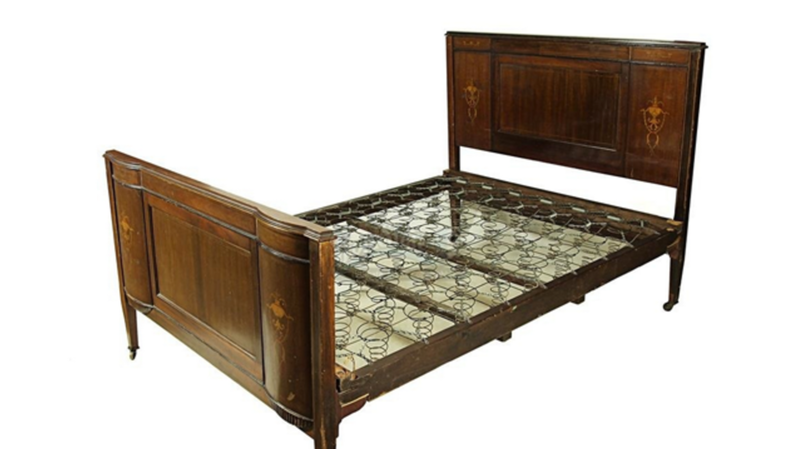 That very bed frame, which we see again throughout the film—including during some not so happy times—was recently auctioned by Prop Store in London. It previously belonged to a member of the crew, who purchased the bed when filming wrapped and kept it in a guest bedroom for the last couple of decades. The full-size, wooden frame is in “good condition” according to the auction page, with steel wire spring support and castors. It was valued between £4,000 and £6,000 (or about $6,000 to $9,000) and ultimately sold for £7,200 in October 2014. Weirdly, there are no notes on how the piece would fare in an axe attack.